Home > Annual Proteomics Symposium 2017: "Unveiling the complexity of the cell proteome"
Annual Proteomics Symposium 2017: "Unveiling the complexity of the cell proteome"
The conference will be held in Barcelona, Spain, November 10th 2017 at the PRBB Auditorium. Participants are welcomed to present their research results with a short abstract of 300 words. A limited number of slots will be available in the programme for selected participants for short talks. Deadline: abstracts MUST BE RECEIVED no later than July 27. Notification of acceptance will be mailed by August 11. Only the presenting/first author will receive the email notification of acceptance or rejection, and is responsible for informing all co-authors of the status of the abstract. Abstracts must contain: title, authors, primary institution, purpose of the study, methods used, summary of the results and conclusion reached. To submit an abstract you have to be registered to the meeting. 10:00-10:15 "Proteomics meets metabolomics: a novel data analysis workflow to study metabolic alterations in diabetic retinopathy"
10:15-11:00 "Drug resistance assessed by mass spectrometry based omics technologies"
11:00-11:15 "Protein signature for endometrial cancer diagnosis in exosome-like vesicles of uterine aspirates"
11:15-11:45 "Pushing the leading edge in protein quantitation: Integrated, precise, and reproducible proteomi workflows"
11:45-12:00 "Protein-peroxiredoxination in S. cerevisiae"
12:00-12:45 "The dark matter of the proteome"
13:30-13:45 "Revealing the organisation and function of cellular modules by structural proteomics"
13:45-14:00 "Hormone dependent Breast cancer growth; Using proteomics to guide the way"
14:45--15:00 "Sub-minute phosphoregulation of cell-cycle systems during Plasmodium gamete formation"
15:00-15:15 "Introducing timsTOF Pro – the new standard for shotgun proteomics"
15:15-16:00 "Palaeoproteomics: state of the art and perspectives"
Participation to the Symposium is free of charge and open to all PRBB staff as well as external scientists, but registration is required. 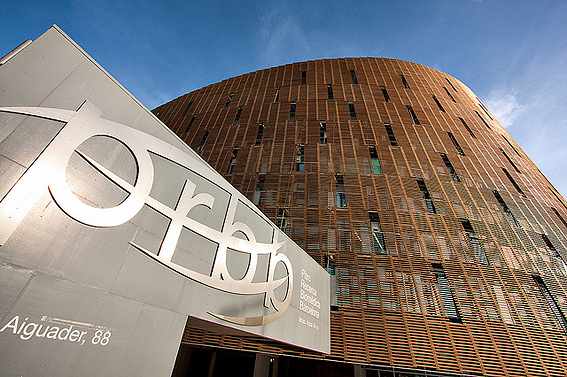 How to get to the PRBB Auditorium?